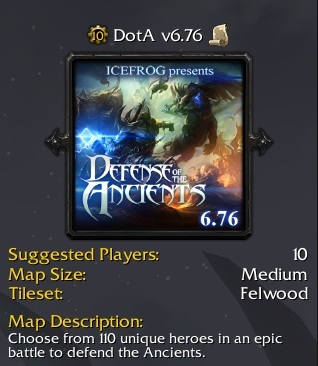 Icefrog has just released DotA 6.76 which was a real surprise for the whole DotA community. The most significant changes in this map are reworked with the Warchief ability and some changes with the force staff. Rest of the changes are based on the bugs and glitches fixes which were due. So enjoy playing this map. – If you have any issues with the download links, please notify us. – Put the map in ‘C:\Program Files\Warcraft 3\Maps\Downloads‘ folder after downloading it. The source directory will be different if you installed Warcraft 3 on separate folder/drive. – Please report any Dota 6.76 bug/glitches to IceFrog. He’ll release Dota 6.76b/c/d to address them. – DotA 6.76 AI will take time to release according to the number of changes.